In 1946 the monarchy was abolished and Bulgaria became a communist state. There are 51 universities in Bulgaria, which are well-respected internationally. Academic institutions in Bulgaria offer various programs taught in English, French or German, which are popular among foreign students, and some universities also offer programs which are jointly accredited. English-taught courses are common at master’s level and becoming increasingly common for medical degrees. PhDs usually take three years to complete. Sofia University St. Kliment Ohridski is the only Bulgarian university to feature in the QS World University Rankings 2016/17®, in the 651-700 range. It’s also ranked within the top 50 of the QS University Rankings: EECA, in 46th place. Also known simply as Sofia University (SU), Sofia University St. Kliment Ohridski was established in 1888, and is both the oldest and largest university in Bulgaria, with several campuses spread across capital city Sofia. Offering degrees spanning a broad range of subjects in the fields of humanities, sciences, law, IT, medicine and economics, the university is well-known for its research, including contributions to Antarctic exploration. In commemoration of the university’s centennial in 1988, a group of mountains on Alexander Island in Antarctica were named the Sofia University Mountains. Ranked 151-200 in the EECA ranking, the American University in Bulgaria (AUBG) is a private university which was founded in 1991. As the name suggests, it offers courses taught in English, and it has an international faculty and student body, with 39 nationalities represented on campus out of 939 students as of spring 2016. The American University in Bulgaria is located in the city of Blagoevgrad in southwestern Bulgaria, which is home to a large student population. 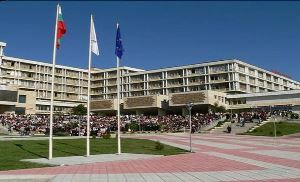 Baccalaureate degrees from AUBG are accredited both in Bulgaria and the US. Also ranked 151-200 in the EECA table, Trakia University is located in the city of Stara Zagora in Southern Bulgaria and was established in 1995. 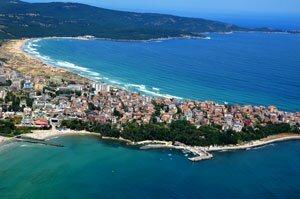 It was named after the historical region of Thrace and mainly teaches in Bulgarian, but recently began offering a small number of programs in English, including medicine. Trakia University has around 8,200 students enrolled from Bulgaria and abroad, and students can take part in Erasmus exchange programs and international research projects. Higher School of Management, Varna, (previously known as the International University College), which is a hub for foreign students from more than 40 countries and offers many English-taught programs. Several UK universities have international faculties located in Bulgaria, including the University of Sheffield. One of the main attractions of student life in Bulgaria is the relatively low cost of living, including accommodation, student tuition fees, public transportation and food. Prices vary from town to town, but overall you can expect your expenditure on food to be around half what it would be in a country such as the UK, and accommodation and utilities around a third of those in the UK market (sometimes even less). Bulgarians are very friendly, but watch out for potential misunderstandings – they tend to shake their heads to mean yes and nod for no, which can be a little confusing at first! 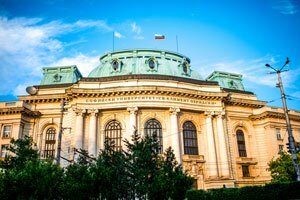 Apart from low tuition fees and living costs, there are lots of other reasons to study in Bulgaria. It is a popular tourist destination, famous for its sandy beaches and coastal resorts, and also for its beautiful mountain ranges and snowsports. If you’re interested in history, you’ll also find plenty to explore. One of the country’s oldest historical sites, the Thracian Tomb of Kazanlak, dates back to the 4th century BC. Meanwhile some of the most famous treasures in the world were discovered at the Varna Necropolis burial site, including the world’s oldest golden ornaments.